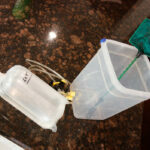 My standard tool for aquarium glass cleaning has been our trusty Mag-Float. It has performed well over the years and still has a place in our tank; however, I’ve been looking for something better suited as a tool to overcome some shortcomings of the Mag-Float. 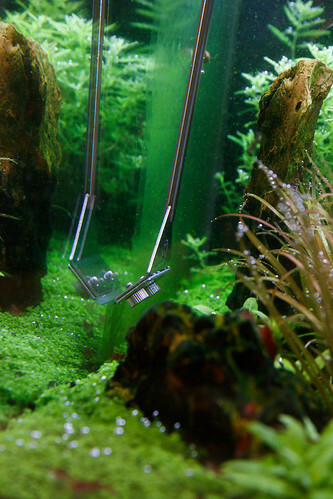 The best solution I have found is the MuFan Aquarium Algae Scraper . This is a relatively inexpensive tool that is basically a razor blade holder, but it is made specifically for aquarium use. Despite the low cost, I’m finding the quality to be very good. Since transitioning to a high-tech planted aquarium (with CO2), I’ve been able to keep the algae under control. Kind-of. The plants grow fast enough where they don’t collect much algae. I get some growth on the rocks, which I don’t mind very much. The problem cosmetically is the growth on the glass. I’m not sure if it is green spot algae (GSA) or green dust algae (probably GSA) but the glass gets covered in it over the week between water changes. The problem with the Mag-Float is twofold. First, the velcro (rough side) abrasive that they utilize to remove algae is not all that strong. It takes many passes to remove the algae, especially if I have let it go for an extended period between cleanings. Second, the half of the Mag-Float that goes in the water has significant depth (around 1″) that keeps it from being able to navigate and clean around some plants/rocks that are close to the glass. 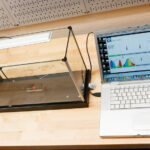 Cleaning the glass just below the substrate line is impossible with the Mag-Float. For weekly cleanings, I have used an old credit card to fill in and clean that grungy line that forms just below my HC Cuba on the glass. The credit card is too flexible and not sharp enough to be fully effective. I have always resisted using a blade for fear of scratching the glass, but one week I got desperate and tried out a simple razor blade on the algae. 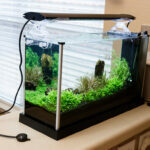 It was very efficient and quickly removed the algae with no scratches. As long as you keep the blade edge in contact with the glass (and don’t tip it so it is only contacting at a point end) it won’t cause scratches. There is a strong preface here that any razor blade scraper is only suitable on glass and should not be used on acrylic aquariums! Once I understood that a straight razor blade is a great option for getting algae off the glass, I started looking for a suitable tool to use on our tank. Made entirely of Stainless Steel: Very important as it will resist rust. If you are dealing with freshwater then it should never rust. Can’t be as confident for marine (salt water). Uses double-edge safety type razor blades: These blades are not available readily at hardware stores, but are available where you get razor blades for use in old time shaving handles. The scraper comes with one blade in the box. Textured handle: the scraper has a handle that threads onto the main rod. 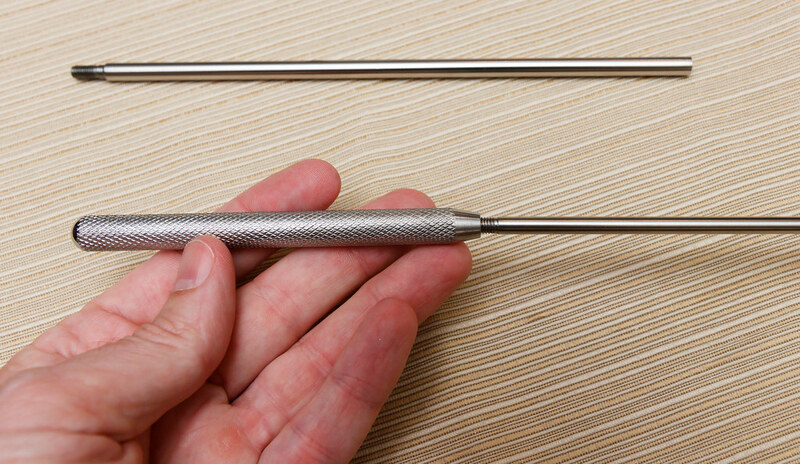 It has a knurled (diamond) pattern that helps you keep a grip on the tool. 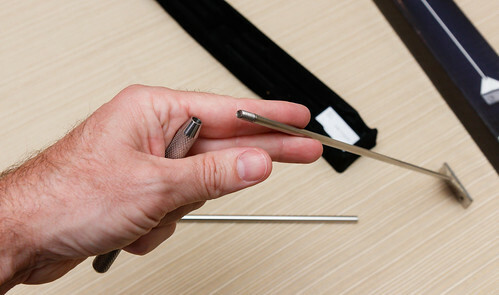 Segmented design with extender: The scraper comes with an additional rod that can extend your reach for deeper aquariums. Comes with a plastic cover to put over the blade when not in use. The blades this thing uses are super sharp and very thin. 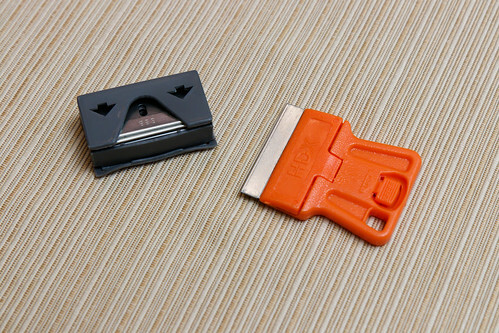 They have two sharpened edges (opposite ends) so when you dull one edge you can take it apart and reinstall the blade 180°. I got mine on Amazon. 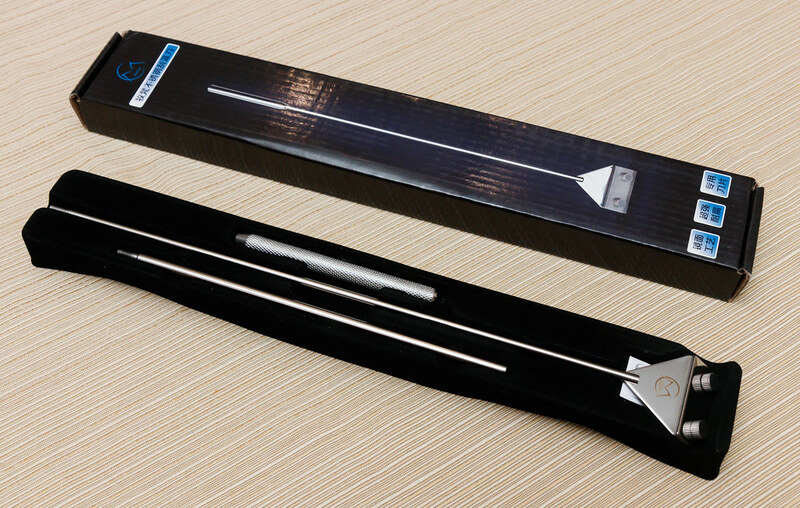 The version with the optional handle extension included cost around $13 USD. I bought a set of 10 replacement blades from Feather . 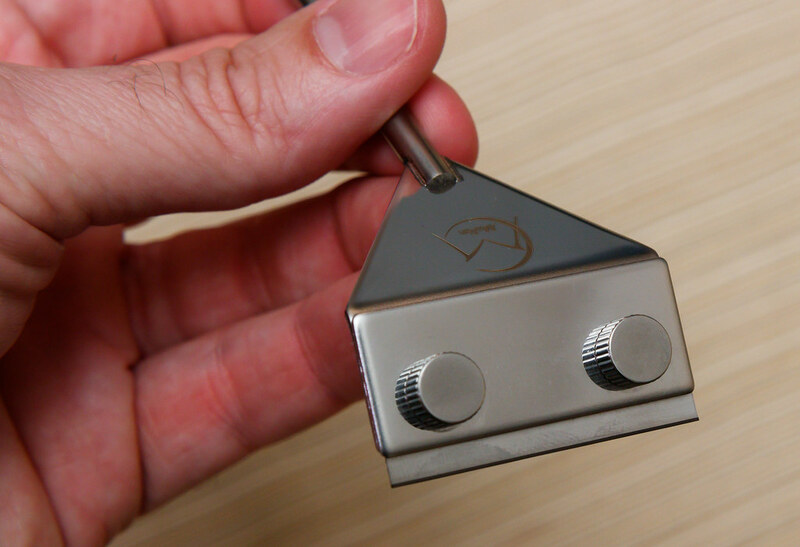 They are very high quality and are stainless steel (so no rusting when you leave them in the tool). 10 blades cost around $6 USD; I expect this supply to last me a very, very long time. That brings the cost of the scraper and 10 blades to around $19 USD. This is how much I care for this site and the reviews it contains. 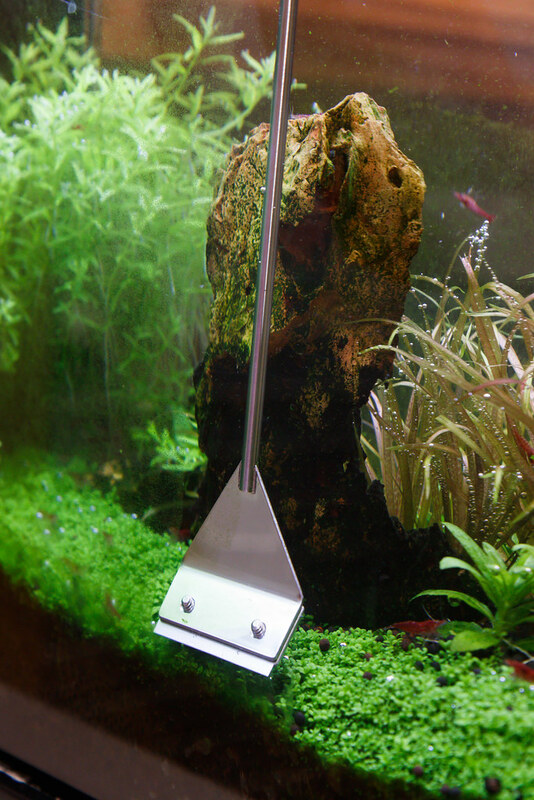 I actually did not clean the glass on our aquarium for over two weeks, in order to build up a nice layer of algae to test this MuFan aquarium algae scraper. This was the worst our tank glass has ever been, and I cleaned every spec of it in no more than 5 minutes. The only thing that would make it go faster is if the blade was wider. 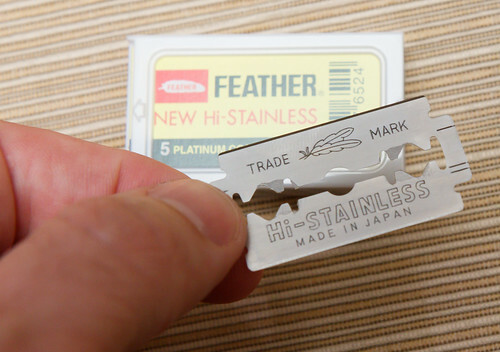 Having said that, I like that it uses readily available safety razor blades that will be available in the future. The blade/holder combo is low profile enough to navigate between the plants/rocks and glass in tight spots in our nano tank. That has been a problem with using short handled options with my fat hands in the way. I was able to clean all the glass and not knock any rocks. Better yet, with the long handle and razor edge, I was able to get all the way down to the bottom of the tank, at that line just below the plants and substrate where we get very tenacious algae. You can push the razor edge just below the substrate and not disturb things too much while still removing the algae. Perfect! Again, Don’t use a blade on acrylic aquariums as you will scratch up your tank. Also, I would be very wary of using a blade close to the silicone seams. I work very slowly around the silicone seams and go up to them, but try not to touch them with the blade. 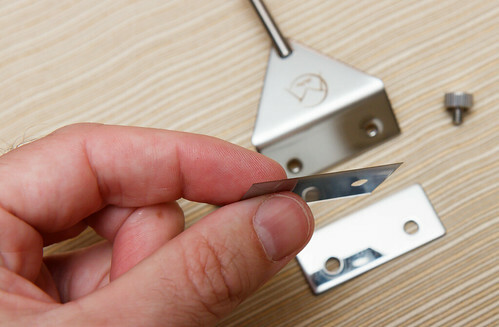 If you get the blade up under there too many times, you could eventually weaken the seam and end up with a leak. 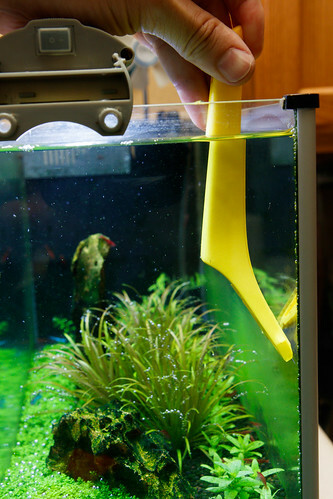 It’s better to let that last bit of algae remain and clean up with your tank toothbrush. I’ve used blades for a while now and have not seen any scratches on the glass. Just take your time and make sure to keep the blade edge in constant contact with the glass as you work. 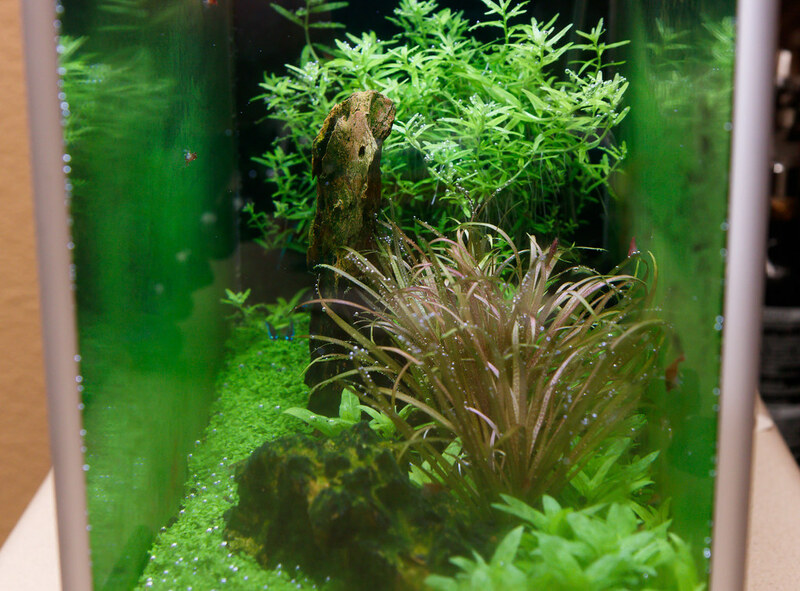 EDIT: A kind user commented that high quality aquariums made of Low-Iron, or “Starfire” glass are susceptible to scratching from razor scrapers. It turns out this very high clarity glass is not as hard as standard glass, so if you have this type of aquarium glass, you might pass on razor scrapers in general and find something more gentle. MuFan is a Chinese company; I was somewhat unsure of what the quality would be for this tool as I have had some issues with other stainless steel tools not being very high quality stainless steel (rust). As it turns out, this tool is very high quality. The knurled nuts that hold the blade on are machined very well and screw in easily and plenty tight. 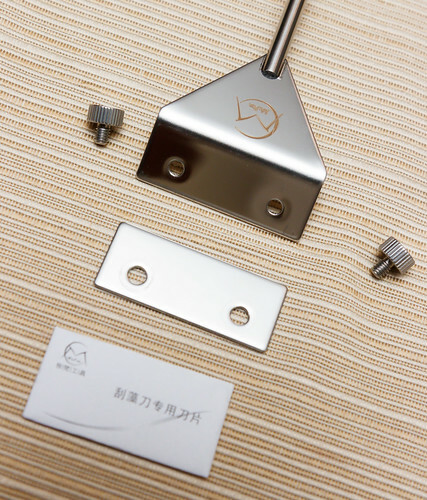 All the parts are high quality stainless. I have had no rust issues. 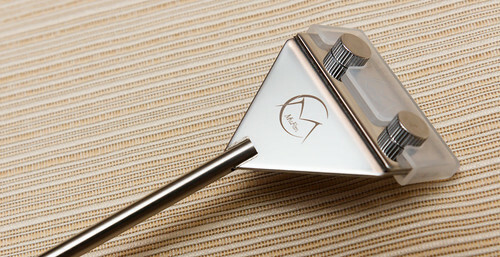 The face of the blade holders are polished and have a very nice company logo. The threaded parts that come together to form the handle are very tight. I was worried that these segmented pieces would be weak; however, they are very rigid and have more than enough strength to resist bending when bearing down on the scraper (even with the extension piece installed). Having the right tool makes all the difference. 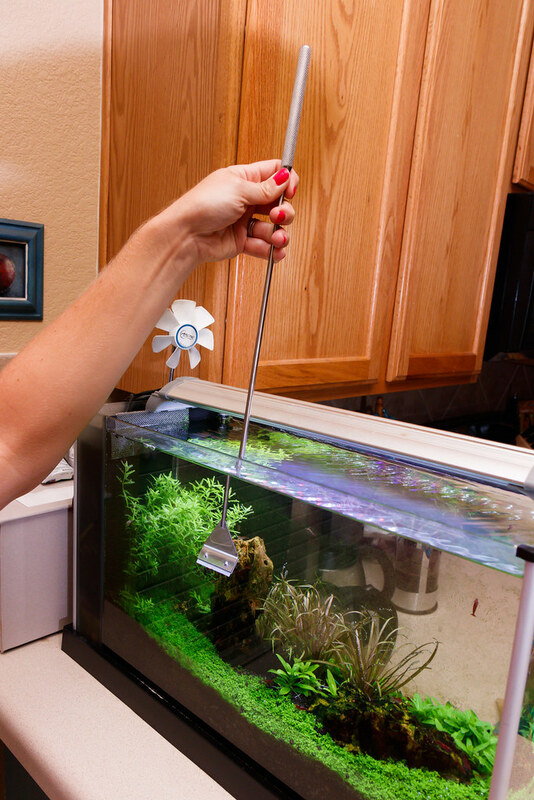 The MuFan aquarium algae scraper is not only a high quality tool that will last you a long time, but the price makes it an easy decision. As I mentioned earlier, my first try at a blade on our aquarium was a simple hand held one from the hardware store . It worked great in a pinch, but the obvious issue is you will get very wet using this and you will have challenges navigating in tight places with your hands/arms. 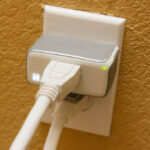 The plus is it is simple and only cost a few dollars. 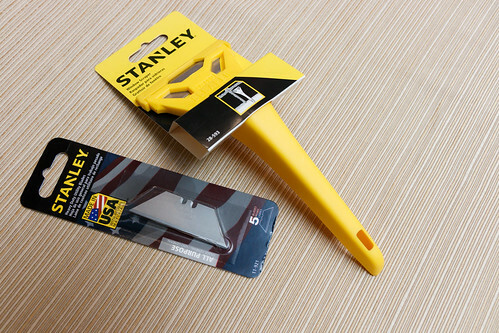 I tried out another option from the hardware store, this Stanley Window Scraper . It was a slight step up from the small blade holder as it did have a handle of sorts. The disadvantages are that the handle is not long enough so you will still get your hands wet and this particular model is not very low profile; the handle sticks out far from the glass and was a tight fit between our rocks and glass. The one advantage it had was a wider blade which allows slightly quicker work to mow down a section of algae. If you go with a cheap hardware store option, one word of warning; the blades are not stainless and will rust, which is why they usually ship with a thin layer of oil. 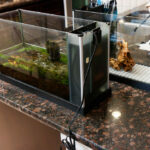 Prior to using in an aquarium, wipe the blades down with isopropyl alcohol. In retrospect, I would not waste time again with the hardware store blade options (except that’s all I had at the time). 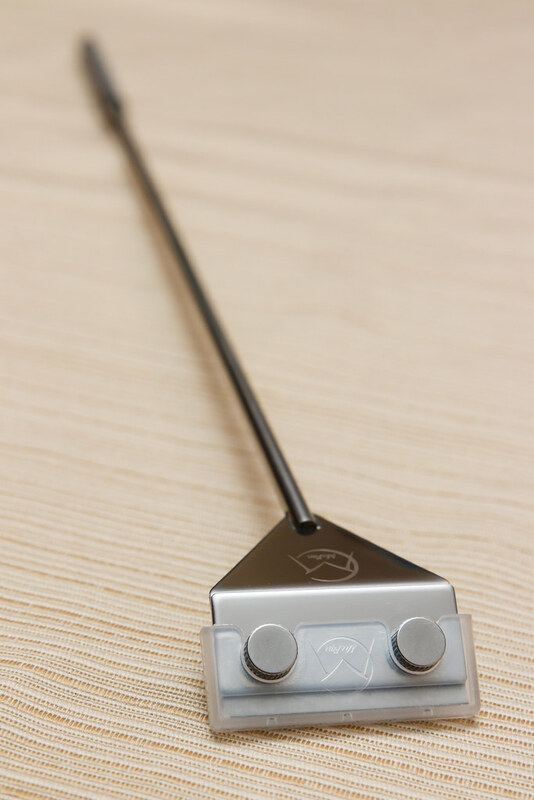 The MuFan aquarium algae scraper is a high quality tool, is functionally superior, and is very cost effective in the long run. Plus it is a joy to use. This entry was posted in Product Reviews and tagged Algae, algae cleaner, algae scraper, MuFan, razor, scraper, stainless steel aquarium tool. Bookmark the permalink. Just wanted to say Thank you, Nate for this blog about the SPEC V. I love my SPEC, but there’s not too many people out there who really try to maximize it’s potential and display it online to share with others. Keep doing what you doing. That means a lot – my pleasure! Careful to use blade on low iron glass. 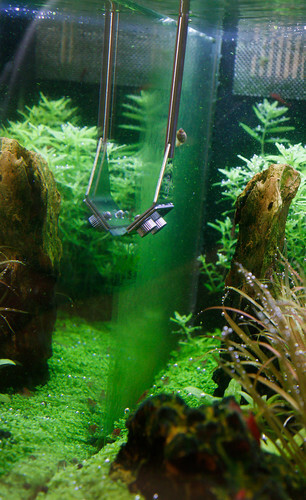 You can modify this ADA Style algae scraper using credit card plastic or rubber as its blade. Thanks for posting this. 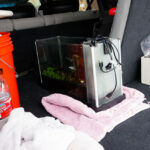 I was not aware that the more expensive ‘starphire’ or low-iron glass is softer – good warning to save a very nice tank. What did you end up using in place of blades? I’m still using this tool to remove algae on our tank.